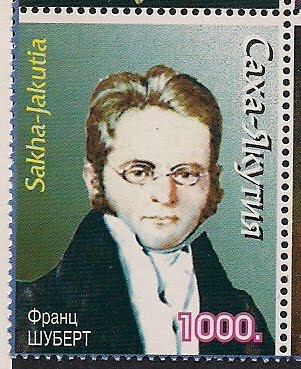 Franz Schubert(1797-1828), Austrian composer, was born in Vienna, January 31, 1797, and died in Vienna, November 19, 1828. Studied music from his father and brother first then studied music theory with Salieri, taught at his father's elementry school. He composed 9 symphonies, various chamber and orchestral music pieces, 600 songs.